Wheeler Service Inc. is proud to serve the Hixson community! 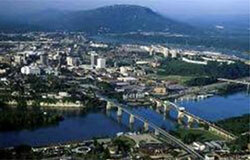 About Hixson, TN - Happy to be your hometown Heating & Air Conditioning Contractor! Hixson is an unincorporated community in the Chattanooga metro area, residing in the county of Hamilton, with a population of approximately 40,000. Boasting a lower than national average in both cost of living and unemployment rates, as well as top-notch schools within the public school system there is little wonder as to why residents are proud to call Hixson home. Hixson is right next to the beautiful Lake Chickamauga, and surrounded by natural beauty, making it easily a nature-lover’s delight. Recreational activities such as boating, hiking, trail walking, fishing, and swimming are abundant. The 280-acre lakefront Chester Frost Park is meticulously maintained on a peninsula, and is a year-round favorite of residents and visitors alike. The Valley Brook Country Club offers a stunning 18-hole golf course, or Creeks Bend Golf Club offers private golfing; both are set on authentic Bermuda grass. Sites to see in Hixson include the centuries old Hixson Barn, built by hand from Chestnut logs, and designated for historic preservation, and the Hixson Flight Museum which also hosts flight shows all over the country. The North River Civic Center offers educational, recreational, and fitness opportunities for Hixson residents. Shopping aplenty can be found at the Northgate Mall, and those looking for a bite to eat while out on the town will enjoy the home cooking found at Karl’s Family Restaurant or Ichiban’s Japanese Steak House and Sushi Bar. The weather in Hixson is mild but seasonal with cooler winters, warmer summers, and an average annual temperature in the low-sixties.